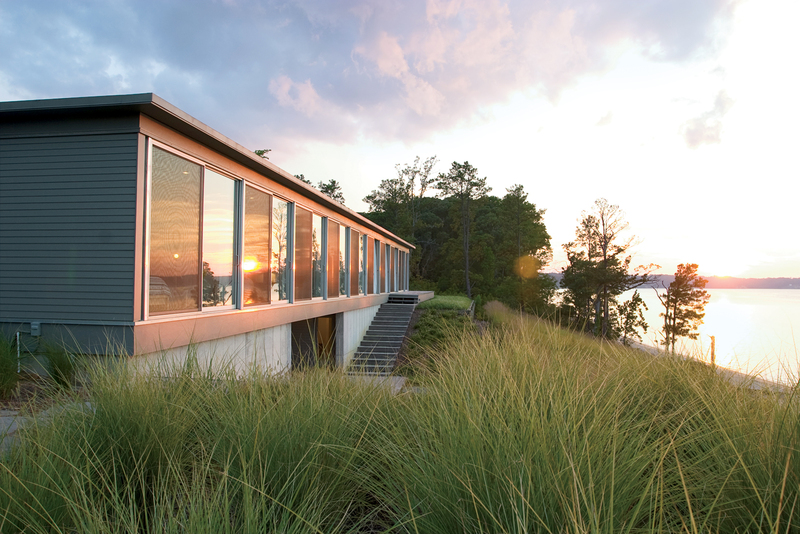 With a modernist palette of concrete, glass, and steel, Ziger/Snead Architects constructed an ode to rowing in rural Virginia. Ziger/Snead Architects constructed this ode to rowing in rural Virginia for a Baltimore couple who share a love of sculling. “Everywhere in the house you can see the moment where land meets water,” says Douglas Bothner, an associate at the firm. 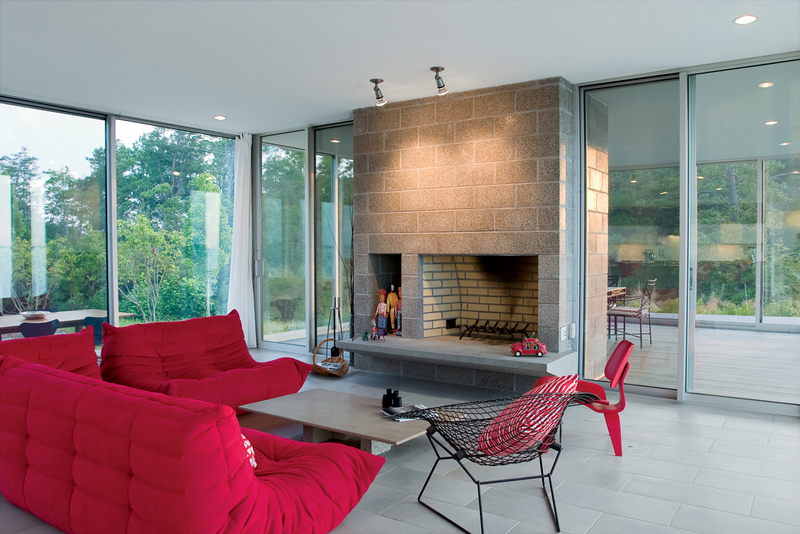 Magenta Togo sofas by Ligne Roset, a red Eames molded plywood chair, and wire Bertoia Diamond chair provide seating around the hearth.